We have learnt much about the International Business. But don’t now how they are applied in the real lives. To find this out i.e. how they are applied in the real lives we were given this project. For completing this project we needed information and to extract information we have chosen secondary sources of data instead of primary sources because primary sources are very much time consuming and critical process. This report attempts to show the emergence of policies, prospects and problems of the investors and investment in Bangladesh. It is expected that this report will help to gather knowledge about the present situation and future problems of the foreign direct investment in Bangladesh. We tried our level best to compile information as comprehensively as possible. We tried our best to fetch all the possible information and include them in a relevant manner. We have tried our level best to complete the paper more meaning fully but at the same time we express our regret for our failure of mentioning many other important information due to very limited space allotted for assignment. However we think this study will prove pragmatic to those who feel interested in the subject. To find out the real problems and prospects of FDI in Bangladesh we have taken help of secondary data instead of primary data. To work with primary data is a very time consuming task to do and so also primary data collection in this level are really a tough job to do. The shortage of time was the main obstacles to gain the actual result. What ever the situation was we have tried our best to accomplish the given job and we do believe that people will appreciate this tiresome effort. It was not an easy task to accomplish. The main obstacles were the short time and the huge amount of secondary data for the assignment. 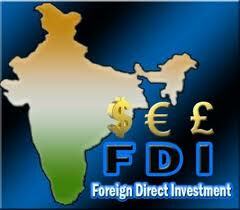 It takes a huge time to find out the real condition of FDI in our country and what the prospects are in future. We have tried our level best to complete the paper more meaning fully but at the same time we express our regret for our failure of mentioning many other important information due to very limited space allotted for assignment. However we think this study will prove pragmatic to those who feel interested in the subject. Investment is the edition to the existing stock of capital after a fiscal year. Investments are one of the most important ways that economies are able to grow over time. Investments allow businesses to purchase factories, machines, and other capital goods, which in turn increase the production of goods and services and thus the standard of living of those who live in the economy. That is especially true when capital goods incorporate recently developed technologies that allow new goods and services to be produced, or existing goods and services to be produced more efficiently with fewer resources. Investment means spending or setting aside money for future financial gain. For an individual, investment might include the purchase of financial assets, such as stocks, bonds, mutual funds, or life insurance. Investment can also include the purchase of durable goods, such as housing or a car. For an economist, investment refers to the increase in real capital in an economy, such as an increase in factories and machinery, or in its human capital—that is, a skilled and educated labor force. See also Corporate Finance; Economics: Keynesian Economics. Investing in capital goods has a cost, however. For investment to take place, some resources that could have been used to produce goods and services for consumption today must be used, instead, to make the capital goods. People must save and reduce their current consumption to allow this investment to take place. FDI can be defined long term investment of a “parent” enterprise from “home” economy into a subsidiary, affiliate, or branch enterprise in a foreign “host” economy. FDI flows include assets, property (e.g. parent company technology, branding, and skills) and \ or capital investment (greater than 10% of total shares in a company), reinvested earnings (retained profits in an affiliate, or intra company loan / debt transaction (long term borrowing/ lending) between firm and affiliate enterprises. FDI stocks are the value of capital and reserves (including retained profit) attributable to a parent enterprise. Other type of foreign investment is portfolio investment (shareholder investment in less than 10% of a company’s capital) and bonds/loans are obtained from foreign banks. Marginal efficiency of capital can be defined as the highest rate of expected return from an additional unit of capital after covering all of its cost. The higher the MEC the higher is the investment. The higher is the capital stock the lower is the MEC. Marginal efficiency of investments can be define as the highest rate of expected return from a given investment after covering the cost of the capital except the rate of interest. Bangladesh’s 147,570 sq km (roughly the size of England and Wales) are situated on a fertile alluvial plain formed by large rivers, the Padma and the Jamuna. Its topography is flat with no great mountains or deserts, and its rivers are vast. Bangladesh is bordered by India to the north-east and west, Myanmar to the south-east, and the Bay of Bengal to the south. From a mainly feudal agrarian base, the economy of Bangladesh has undergone rapid structural transformation towards manufacturing and services. The contribution of the agriculture sector to GDP has dwindled from 50 percent in 1972-73 to around 20 percent in 1999-2000. The agricultural sector is, however, still the main employment provider. The staple crop is rice, with paddy fields accounting for nearly 70% of all agricultural land. Industrial production growth has averaged more than 6% over the last 5 years. The export sector has been the engine of industrial growth, with ready-made garments leading the way, having grown at an average of 30% over the last 5 years. Primary products constitute less than 10 percent of the country’s exports; the bulk of exports are manufactured/processed products, ready-made garments and knit wears in particular. The climate in Bangladesh is sub-tropical, with temperatures ranging from a daytime low of 18`c in the cold season to a maximum of 40`c in the summer. Annual rainfall ranges from 200 to 400 cm. The country has four main seasons, winter (Dec-Feb), summer (Mar-May), Monsoon (Jun-Sep) and autumn (Oct-Nov). In the area of health, over 80% of the country’s children are immunized against the six `killer` diseases. Infant mortality has decreased significantly. There has been a sharp decline in the fertility rate. The increased participation of women in poverty alleviation programs as well as in Bangladesh’s ready-made garments sector, which provides jobs for more than 1 million women, has helped create an awareness of women’s issues at all levels. With the exception of a few reserved sectors, foreign investors are free to make investments in Bangladesh in industrial enterprise. An industrial entity may be set up in collaboration with local investors or may even be wholly owned by the foreign investors. No permission is needed to set up such enterprises if the entrepreneurs use their own funds. However, to avail of facilities and institutional support provided by the government, entrepreneurs/sponsors are advised to apply for registration with the Board of Investment (BOI). For items in the control list, the office of the Chief Controller of Imports & Exports (CCI & E) prescribes the basis and conditions of import entitlement. Shares may be issued in favor of foreign investors against capital machinery brought into Bangladesh. For issuance of shares against foreign investment in the form of capital machinery, the exchange control copy of bill of entry evidencing clearance of the capital machinery from the Custom Authorities, copies of the relative import permit, invoice and bill of lading are required. According to the provisional estimates of BBS, the national savings and investment reached 24.49 and 23.58 percent of GDP respectively in FY 2003-04; growth in investment, however, is the ever highest in Bangladesh. The contributions of public sector and private sector towards national investment are estimated to be 6.12 percent and 17.47 percent respectively. The economy of Bangladesh has been gradually drawing the attention of private sector investors since its opening up in early ’90s. Manufacturing is becoming increasingly vibrant claiming a significant share in the total investment. During 1991-92 to 2002-03, cumulative private investment registered with Board of Investment (BOl), the apex private investment promoting and facilitating body, totaled US$ 25,933 million. The registered investments consist of 47.65 percent as local and 52.35 percent as foreign (100 percent and Joint Venture). Table presents the time-series data during FY 1991-92 to FY 2002-03. In FY 1991-92, total private investment registered amounted US$ 116 million, whereas in 2002-03, it reached US$ 2,395 million. 2002-03 experienced a 31 percent growth in the overall investment comprising of 32 percent growth in local and 22 percent in foreign investment. On the other hand, a country-wise analysis of foreign investment projects registered in FY 2002-03 shows that top five investment registering countries are Japan (28.8 percent), UK (24 percent), Netherlands (11.6 percent), South Korea (7.4 percent) and Taiwan (6.4 percent). FDI Inflow Survey 2002 was successfully conducted by BOI, for the first time in Bangladesh in February 2003.lt was the first-ever attempt to gather credible data on actual FDI inflow on the basis of definition given by UNCT AD. The World Investment Report 2003 (UNCTAD-2003) mentioned that “FDI flows to Bangladesh and other countries in the sub-region declined. However, in the case of Bangladesh, FDI flows in 2002 would have been higher if investment in kind were included. Total FDI inflow during January-June 2003 is US$ 287.667 million. Equity is the major portion of the inflow constituting 59%. Reinvestment stands for about 34% of the total investment. Intra-company borrowing comprises of7% of the FDI. The highest growth has been experienced in reinvestment marking 276%. It definitely shows the confidence of the existing investors on the investment climate and performance of the economy as a whole. Growth in the equity (49’%) was immensely contributed by increase cash inflow (78.6%) which should be reflected in the country’s Balance of Payment Statement. In growth of manufacturing sector is evident from the findings of the survey. Manufacturing continues to receive the highest FDI (74.6%). A tremendous growth in the manufacturing sector indicates prospective growth of the industry in the upcoming years. It will also facilitate creating job Opportunities and SME development. Textile is the highest recipient of FDI (33.69%) followed by chemicals (30.43%). Textile sector is largely contributed by the garments in EPZs. However, chemical sector is largely contributed by cement (60%) followed by garment accessories. A detail study on cement sector of Bangladesh is available in BOI quarterly newsletter “Bangladesh Investment Review”, Vol. I, Issue I, published for the period April- June 2003. Energy and gas sector has sharply declined (only 10.6%) to attract FDI during this period. Given the present utility infrastructure situation of the country and projecting taster growth of industry in coming years, energy and gas could be attractive sector for investment in future. European Union and Western Europe; South, East and South East Asia; and North America are the main sources of FDI in Bangladesh. Europe as a whole is the largest source (44%) of FDI in Bangladesh during January- June 2003. This was mainly geared up by French investment in cement sector. South, East and South East Asia is the secol1d largest source (39%) of FDI led by Hong Kong (13.94%), South Korea (1 0.62%) and Malaysia (9.28 %.). European investments spread over manufacturing and service sectors like textile, cement, agro chemical, leather goods, drugs and pharmaceuticals, tele-communication, LPG bottling, lubricants, power generation, industrial gas etc. Investments from South, East and South East Asian nations like China, Hong Kong, India, Malaysia, Pakistan, Singapore, Sri Lanka, Taiwan and Thailand are concentrated on manufacturing sectors. The real GDP growth rate has been provisionally estimated at 5.52 percent in FY 04. This marginal increase (0.26 percent) is mainly caused by an increase in production in the industry and service sector. It is in tune with the Medium Term Macroeconomic Framework (MTMF) projection at 5.5 percent for the current fiscal year. According to the projection of this framework the real growth of GDP will rise from 6.0 percent in the next fiscal year FY 05 to 6.5 percent in FY 06. It is widely recognized that acceleration of the growth of GDP is largely dependent on the flow of investment in the country. Attaining projected growth of GDP as set in the MTMF would therefore require investment level to the tune of 26 percent of GDP and this is based on the assumption that the Incremental Capital Value Addition Ratio (ICVR) is around 4 percent in Bangladesh. The importance of GDP, savings and investment is immense. It is noted that the growth of GDP is largely dependent on capital intensity as well as on the efficiency in utilization of capital. For this reason savings and investment as percent of GDP are the most important indicators. The FDI Inflow Survey conducted by BOI found that during January-December 2003, total FOI inflow in Bangladesh was US$ 441.4 million. It may be mentioned here that due to the strategic policy change by the Board, the FOI target in 2003 was US $ 400 mil1ion. Table 8.6 presents the comparative statement of actual FDI inflow in Bangladesh. Sample surveys of the BOI on registered local investment projects found that about that 85 percent of the registered local projects are either implemented or at the different stages of implementation. Private investors initially register their investment proposals with Board of Investment expressing their intent to invest in the respective proposals. After detailed feasibility studies investment proposals are implemented in phases. As a result the actual investment projection could be made possible on the basis of registration statistics. The most Heavily Indebted Poor Countries and low income countries of the world remain largely dependent on bilateral and multilateral aid for their development strategies. However, since 1990 total Overseas Development Assistance (ODA) has dropped by more than half. Much greater importance is now being placed on alternative sources of capital to finance national development (ECOSOC 2000) and Foreign Direct Investment (FDI)1 is now the largest source of foreign private capital reaching developing countries (Figure 1). Global flows of FDI have grown phenomenally over the last ten years. Total inflows rose by nearly four times, from US $174 billion in 1992 to US$ 644 billion in 1998. However, total flows to developing economies fell between 1997 and 1998 (UNCTAD 1999). Regionally, prospects look least good for Africa (Table 1.). Of the middle to low income countries, Asia has experienced the fastest rate of growth in FDI but also the greatest volatility. The Secretary General’s report “Financial Resources and Mechanisms” to the eighth UN Commission on Sustainable Development indicates increased international dialogue about whether FDI is a significant source of development finance. For all its potential, there is far greater awareness of the complex nature of FDI and the possible negative impacts of rapid and large growth for least developed countries. A crucial question is how FDI might be better applied to support more sustainable forms of development, particularly in those countries with burgeoning debts and widening income disparity to the rest of the world. This briefing paper seeks to review some of the pros and cons of FDI, to broadly consider possible roles and responsibilities of institutions in order to utilize FDI in a more effective manner and suggest some key questions that will need to be faced. How can FDI be better applied to Sustainable Development? If FDI is to take a greater role in building developing country economies, further assessment of the factors which influence and are influenced by FDI flows is necessary. Foreign companies are thought to be attracted to recipient countries for a whole range of factors, e.g. political stability, market potential & accessibility, repatriation of profits, infrastructure, and ease of currency conversion. Privatization and deregulation of markets are seen as central means to attract FDI, however this can leave the poorest or most indebted countries open to destabilizing market speculation (ECOSOC 2000). National legislation can support better investment security for local markets, fair competition and corporate responsibility through defining equitable, secure, non-discriminatory, transparent investment practices. Ethical and socially responsible FDI can be encouraged through national, bilateral and international investment guidelines and regulation e.g. consumer rights, information provision, commercial probity, labor standards and corporate culture (UNCTAD 1999). Several institutions have developed or are currently working on responsible practice. The ILO has 180 conventions referring to social responsibility and it also has more specific “Tripartite Declaration of Principles” (1977), concerning TNCs and social policy2. UNCTAD has developed a “Code of Restrictive Business Practices”. Eradication of poverty and reduction of gender inequality, where women make up nearly 70% of the world’s poorest, should be prioritized. Greater efforts need to be made to assess the linkages between environmental impacts and FDI, although it may be difficult to isolate FDI impacts from other activities. Authorities and businesses can apply Environmental Management Systems (EMS) to assess the potential impacts of FDI ventures, e.g. ISO 4001 which details techniques such as Life-Cycle-Analysis, Environmental Impact Assessments (EIA) and Environmental Audits. These all require investment in inspection, monitoring, regulation and enforcement to ensure effective implementation. The resources required to effectively adopt these approaches are often lacking in many developing countries, suggesting a vital need for targeted international assistance (UNCTAD 1999). Greater environmental commitment can also bring long term corporate gains e.g. greater efficiency and better quality of practice. The policy framework for foreign investment in Bangladesh is based on ‘The Foreign Private Investment (Promotion & Protection) Act 1980 which ensures legal protection to foreign investment in Bangladesh against nationalization and expropriation. It also guarantees non-discriminatory treatment between foreign and local investment, and repatriation of proceeds from sales of shares and profit. Government of Bangladesh is agreeably helping to provide proper legal facility for the foreign investors. So in the question of legal environment and FDI prospect it can be told that the legal environment is quite sound for the foreign investors. Political Environment is very crucial for an economy to attract foreign investor or to increase Foreign Direct Investment (FDI). Political situation of Bangladesh are not sound enough to attract investor in a high speed. Political situation is important because the investors are not feeling secure to invest in such country where the country’s political situations are unstable. It is very harmful for such a developing economy like Bangladesh. If the government wants to increase its FDI performances than political climate obviously have to be sound to attract the investors from the different countries of the world. Population is another issue in the question of FDI. We have a huge number of population in a ratio with our total lands. Huge population always indicates that the huge amount of demand and which will make the foreign investors interested to invest such country. The total population distribution and the total lobor force distribution chart are given bellow-. The following data are showing that we have a huge number of population an so also a huge number of unemployed labor force which is an important factor that attract people to in vest our country. Arms and ammunition and other defense equipment and machinery. are open for private investment in Bangladesh. The government’s role is that of a facilitator which helps create an enabling environment for expanding private investment, both domestic and foreign. The Board of Investment (BOI), established by the government for accelerating private investment, provides institutional support services to intending investors. Tax holiday facilities will be available for 5 or 7 years depending on the location of the industrial enterprise. For industrial enterprises located in Dhaka and Chittagong Divisions (excluding Hill Tract districts of Chittagong Division) the tax holiday facility is for 5 years while it is 7 years for locations in Khulna, Sylhet, Barisal, and Rajshahi, Divisions and the 3 Chittagong hill districts. Tax holiday facilities are provided in accordance with existing laws. The period of tax holiday will be calculated from the month of commencement of commercial production. Tax holiday certificate will be issued by NBR (National Board of Revenue) for the total period within 90 days of submission of application. Import duty, at the rate of 5% ad valorem, is payable on capital machinery and spares imported for initial installation or BMR/BMRE of the existing industries. The value of spare parts should not, however, exceed 10% of the total C & F value of the machinery. For 100% export oriented industries, no import duty is charged in case of capital machinery and spares. However, import duty @ 5% is secured in the form of bank guarantee or an indemnity bond will be returned after installation of the machinery. Value added Tax (Vat) is not payable for imported capital machinery and spares. High technology products that will be either import substitute or export oriented. For foreign direct investment, there is no limitation pertaining to foreign equity participation, i.e. 100 percent foreign equity is allowed. Non-resident institutional or individual investors can make portfolio investments in stock exchanges in Bangladesh. Foreign investors or companies may obtain full working loans from local banks. The terms of such loans will be determined on the basis of bank-client relationship. A foreign technician employed in foreign companies will not be subjected to personal tax up to 3 (three) years , and beyond that period his/ her personal income tax payment will be governed by the existence or non-existence of agreement on avoidance of double taxation with country of citizenship. Full repatriation of capital invested from foreign sources will be allowed. Similarly, profits and dividend accruing to foreign investment may be transferred in full. If foreign investors reinvest their repatriable dividends and or retained earnings, those will be treated as new investment. Foreigners employed in Bangladesh are entitled to remit up to 50 percent of their salary and will enjoy facilities for full repatriation of their savings and retirement benefits. Foreign entrepreneurs are, therefore, entitled to the same facilities as domestic entrepreneurs with respect to tax holiday, payment of royalty, technical know-how fees etc. The process of issuing work permits to foreign experts on the recommendation of investing foreign companies or joint ventures will operate without any hindrance or restriction. Multiple entry visa” will be issued to prospective foreign investors for 3 years. In the case of experts,” multiple entry visa” will be issued for the whole tenure of their assignments. Citizenship by investing a minimum of US $ 500,000 or by transferring US$ 1,000,000 to any recognized financial institution (Non-repatriable). Special facilities and venture capital support will be provided to export-oriented industries under “Thrust sectors”. Thrust Sectors include Agro-based industries, Artificial flower-making, Computer software and information technology, Electronics, Frozen food, Floriculture, Gift items, Infrastructure, Jute goods, Jewellery and diamond cutting and polishing, leather, Oil and gas, Sericulture and silk industry, Stuffed toys, Textiles, Tourism. Belgium, Canada, China, Denmark, France, Germany, India, Italy, Japan, Poland, Romania, Singapore, South Korea, Sri Lanka, Sweden, Thailand, The Netherlands, United Kingdom ( including Northern Ireland ). Negotiations are ongoing with U.S.A, Iran, Philippines, Qatar, Australia, Nepal, Turkey, Indonesia, Cyprus, Norway, Finland and Spain. Belgium, Canada, France, Germany, Iran, Italy, Japan, Malaysia, Pakistan, Philippines, Poland, Republic of Korea, Romania, Switzerland, Thailand, The Netherlands, Turkey, United Kingdom, USA, Indonesia. Negotiations are ongoing with India, Hungary, Oman, Moldova, DPRK, Egypt, Austria, Mauritius, and Uzbekistan. In addition, Bangladesh is a signatory to MIGA (Multilateral Investment Guarantee Agency), OPIC (Overseas Private Investment Corporation) of USA, ICSID (International Centre for Settlement of Investment Disputes) and a member of the WIPO (World Intellectual Property Organization) permanent committee on development co-operation related to industrial property. Investment of NRBs will be treated on par with FDI. Special incentives are provided to encourage NRBs to invest in the country. NRBs will enjoy facilities similar to those of foreign investors. Moreover, they can buy newly issued shares/debentures of Bangladeshi companies. A quota of 10% has been fixed for NRBs in primary public shares. Furthermore, they can maintain foreign currency deposits in the Non-resident Foreign Currency Deposit (NFCD) account. Bangladesh ‘Taka’ is convertible for current external transactions. Individuals/firms resident in Bangladesh may conduct all current external transactions, including trade and investment related transaction, through banks in Bangladesh authorized to deal in foreign exchange (Authorized Dealers) without prior approval of the Bangladesh Bank. Non- resident direct investment in industrial enterprise in Bangladesh and non-resident portfolio investment through stock exchanges in Bangladesh also do not require prior approval of the Bangladesh Bank. Remittance of post-tax dividend/profit on non resident direct or portfolio investment does not require prior approval. Sale proceeds, including capital gains on non-resident portfolio investment may also be remitted abroad without prior approval. Repatriation of sale proceeds of non-resident investment in unlisted companies is allowed by Bangladesh Bank on the basis of the net asset value of the shares of the company. Investors may obtain relevant procedural details by contacting any authorized Dealer bank in Bangladesh. Remittance of profits to their head offices by foreign firms and companies operating in Bangladesh. Issuance of shares to non-residents against investment for setting up industries in Bangladesh. Remittance of dividends on such shares to the non-resident investors. Portfolio investment by non-residents including foreign individuals/enterprises in shares and securities through stock exchanges in Bangladesh. Remittance of dividends on portfolio investment by non-residents through stock exchanges in Bangladesh. Remittance of sale proceeds, including capital gains of portfolio investments of non-residents through stock exchanges in Bangladesh. Remittance of principal and interest installments on loans/suppliers credits obtained by industrial units from foreign lenders with approval of the BOI. 100% foreign owned (Type A) industrial units in the EPZs (Export Processing Zone) do not require prior permission of BOI for such foreign borrowing. Remittance in repayment of principal and payment of interest of such loans. Remittance of technical fees and royalties against technical assistance/royalty agreements in conformity with BOI guidelines. Remittance of savings of expatriate personnel at the time of their leaving Bangladesh, out of the salaries and benefits stated in their employment contracts as approved by BOI. Extension of term loans by banks on normal banking considerations to foreign firms operating in Bangladesh. Extension of working capital loans to all foreign owned/controlled industrial and trading firms/companies by banks on the basis of bank customer relationship and normal banking practice. Obtaining of interest-free repatriable short-term foreign currency loans by foreign firms investing in Bangladesh from their head offices or any other sources through any authorized dealer. i. Non-residents are free to invest in shares / securities quoted in the stock exchanges, with foreign exchange sent or brought into Bangladesh. ii. They may also invest in new, yet-to-be-listed public issues of Bangladeshi shares/securities. In such cases investors are not required to transact through any registered broker/member of stock exchange. iii. Permission of Bangladesh Bank is not required for issue and transfer of shares in favor of non-residents against their investments in joint ventures in Bangladesh. iv. Non-resident share holders can freely transfer their shares to other non residents. — Dividend and sale proceeds (including capital gains) of shares of companies listed in a Stock Exchange in Bangladesh. Such remittance may be affected prior to actual payment of taxes provided that the amount payable to the tax authorities at the applicable tax rate is withheld by the company. Remittance of sale proceeds of shares of companies not listed in Stock Exchange requires prior Bangladesh Bank permission, which is accorded for amounts not exceeding the net asset values of the shares. Bangladesh Taka is fully convertible for settlements of trade related transactions. Import license is not required for import of items not in the control list. An importer has automatic access to foreign exchange for import of all items outside the control list, and also for import of control list items as per general or specific authorization of the office of the Chief Controller of Imports and Exports. Annual foreign exchange quota for business travel abroad for new exporters has been set at US $ 6000. Bonafide requirement beyond US $ 6000 is accommodated by Bangladesh Bank upon written request submitted with supporting documentation. Merchandise exporters may retain up to 50% of realized FOB value of their exports in foreign currency accounts in US$, Euro, Japanese Yen. For export items with high import contents (such as naphtha, furnace oil, bitumen, readymade garments etc. ), the retention quota is 10%. The computer software and data entry/processing service exporters may also retain up to 50% of realized export proceeds in foreign currency accounts. Funds from these accounts may be used to meet bonafide business expenses, such as business visits abroad, participation in export fairs and seminars, import of raw materials, machineries and spares etc. Funds from these accounts may also be used to set up offices abroad without prior permission of Bangladesh Bank. Exporters may, at their option, retain the foreign currency in interest bearing renewable term deposit accounts in Bangladesh with a minimum amount of USD 2,000 or Pound Sterling 1,500 equivalent. Service exporters may retain 5% of their repatriated income in foreign currency accounts. Funds may be drawn from these accounts to meet expenses for bonafide business expenses abroad. This quota may also be kept in interest bearing renewable term deposit accounts. However, foreign exchange earnings on account of indenting commission or agency commission for export from Bangladesh may not be credited to such accounts since these incomes originate from Bangladesh sources. Incoming passengers may bring in amount of foreign exchange with declaration on form FMJ at the time of arrival. No declaration is necessary for amounts up to US$ 3,000. For non-residents, the entire amount brought in with declaration, or up to US$ 3,000 brought in without declaration may be freely taken out at the at the time of departure. Up to US$ 3,000 brought in without declaration may also be retained and taken out freely by a person ordinarily resident in Bangladesh. Bank accounts outside Bangladesh opened by Bangladesh nationals while working abroad may now are maintained even after their return to Bangladesh. Over the past two decades, particularly during the 1990’s, the economic growth in Bang1adesh registered a remarkable progress. The average growth rate of Gross Domestic Product (GDP) was around 5 percent in this decade. Implementation of a wide array of reforms during the early 1990 s made it possible to achieve this higher rate of growth. Four percent growth rate on an average over a period of the last two decades brought an opportunity for transition to a higher grow path. Attaining of per capita GDP growth at 3.3 percent during the 1990’s is an impressive achievement. The prudent fiscal policy pursued by the present government restored discipline in fiscal sector. As a result, the fiscal deficit in FY2002-03 declined to 3.5 percent of GDP from 4.7 percent in FY2001-02. The budget deficit in FY2003-04 has been estimated at 4.2 percent of GDP. According to preliminary estimates, recurrent expenditure during FY2003-04 is well within the target .Up to June 2004 of current fiscal year, the ADP expenditure stood at Tk. 16976 crore (88 percent). The previous government stalled trade liberalization reforms initiated in early nineties. Indeed this had perceptible negative impact on external trade. The present government has resurrected the process and intensified it further; As a result, there was turnaround in export trade in FY2002-03 posting a growth of 9.39 percent from a negative growth in 2001-02. The amount of export in FY2003-04 substantially increased by 16.10 percent to US$ 7603 million compared to the export earnings of FY 2002-03. Import trade also grew remarkably. During FY 2003-04, it registered a growth around 12.9 percent that reflects a strong pick up of domestic demand including investment and consumption. Various facilitation measures for augmenting inflow of remittances helped to grow remittance at the rate of 32.89 percent in FY2001-02 and 22.42 percent in 2002-03 exceeding US$ 3 billion mark. In FY2003-04, it registered a robust growth of 10.12 percent compared to preceding fiscal year and remittances stood at US$ 3.4 billion. According to consumer price index, constructed on the basis of 1985-86 as the base year, the rate of inflation in FY 2002-03 stood at 5.14 percent. In food and non-food sectors, inflation stood at 4.94 and 5.52 percent respectively. In a growing economy such inflationary trend is considered tolerable. It is however to be noted that, the rate of inflation remained low ill Bangladesh since the 1990s. Maintaining this low rate of inflation has largely been possible due to rise in food production and downward trend in prices of consumer goods in the international market. Monetary policy for FY 2002-03 was formulated to accelerate the pace of economic activities of the country and to maintain the trend of economic growth. As the country’s monetary management was steered in the light of a moderately expansionary monetary policy, the money supply and credit expansion remained slightly expansionary during FY2002-03. During FY 2003-04 credit private sectors by commercial banks registered a growth of about 16.20 percent over the previous year. In FY2003-04, disbursement of industrial term loan registered a phenomenal growth of 6.50 percent over the disbursement in the last fiscal year. This seems to suggest robust manufacturing activity in. FY 2003-04. This is again a positive outcome resulting from lowering of interest rates by the government and central bank. The interest rates on 9l-day treasury bills declined from 8.8 percent in June 2003 to about 4 percent in March 2004 while that of 364-day, treasury bill declined from 9.9 percent to 6.4 percent during the 9-month period. Despite prevailing adverse global economic situation, the current account balance of the balance of payment in Bangladesh registered a surplus of US$240 million in 2001-02, which was 0.5 percent of GDP. This trend continued in FY 2002-03 and the surplus stood at US$ 328 million, which was 0.63 percent of GDP. Notably, excepting India and Pakistan none of the least developed countries in South Asia achieved this surplus in the recent past. On the other hand, the trade-deficit situation is also improving gradually. The Government focuses on substantial improvement in the mobilization and allocation of savings through financial sector deepening and development of financial instruments and markets while also expanding the access of the poor to finance through targeted expansion of SME finance and micro-credit. There have been initiatives to improve management of the four NCBs. Among other things, measures to develop financial markets focus on development of a domestic bond market and improving the efficiency of the inter bank money market. SME sector can play all important roles in creating employment opportunities in rural and urban areas, development of human resources and poverty reduction developing export trade motivating private sector involvement and developing entrepreneurship. SME sector has therefore become a focal point in the overall development strategy of the Government. In developing the SME sector, the fundamental problem lies with limited access to credit facilities arid high financing cost, The private sector banks are generally reluctant to extend credit to the SME sector, The main reasons are high risk and supervision cost. To meet the challenge and reduce the perceived risk lending to SME sector, the Bangladesh Bank has embarked on a program to expand and redesign the existing refinance window of Bangladesh Bank into Small Enterprise Fund (SEF). A Public Expenditure Review Commission and a Revenue Reforms Commission were constituted for streamlining and improving the effectiveness of public expenditures and enhancing revenue efforts. The Government has undertaken a series of reform measures in the energy and power sector in order to create an appropriate enabling environment for improved public sector performance, attract multi-lateral and private investment, rationalize tariff rates and improve collections, and the consumers get ‘value for money’. The trade regime has been further liberalized by reducing the maximum tariff rate by 5 percent. Supplementary duty scheme has been rationalized by reducing the number of rates from 31 to 5. Import license fee on all imports has been withdrawn. The Government has designed an integrated policy framework for effective participation in globalization process in the post -MFA period. Immediately after taking office the present Government, besides identifying the priority areas of reform, took up the task of preparing a ‘National strategy for Economic Growth, Poverty Reduction and Social Development’ in line with the UN Millennium Development Goals (MDG). Improvement of existing capacity and quality of infrastructure development. Bangladesh Bank (BB), as the central bank, has legal authority to supervise and regulate all the banks. It performs the traditional central banking roles of note issuance and of being banker to the government and banks. It formulates and implements monetary policy manages foreign exchange reserves and supervises banks and non-bank financial institutions. To facilitate the implementation of the ‘National Strategy for Economic Growth, Poverty Reduction and Social Development’, a Medium Term Macroeconomic Framework (MTMF) has been specified. The framework has been worked out on the basis of the estimated values of FY 2002-03 as the benchmark. The purpose is to comprehend the dynamics of the economy identifying key macroeconomic fundamentals and formulate and implement realistic budget. The following paragraphs are intended to present briefly tI1e results of progress detailed in the important sectors of the economy. The Bangladesh Board of Investment (BOI) conducted a census of foreign direct investors in February 2003 to gather comprehensive primary data and actual FDI inflows based on projects registered with BOI and the Bangladesh Export Processing Zones Authority. FDI inflows in 2002 were $328 million (compared with $ 58 million on a balance of payments basis reported by the Central Bank of Bangladesh). Half of it was financed by equity, 31 % by reinvested earnings and 19% by intra-company loans. While FDI flows have traditionally been concentrated in the power and energy industries, 44% of the total FDI flows in 2002 went to the manufacturing sector. The major sources of investment in 2002 were Asia (45%), followed by Europe (32%) and North America (17%). Norway was the single largest investor (19%), followed by the United States (17%), Singapore (14%) and Hong Kong (China) and Malaysia (9% each). Most of the FDI from Norway was in telecoms and from the United States in the services sector (g.e. power generation, oil and gas, liquefied petroleum gas bottling, medicare service). Investments from Asia, particularly South, East and South-East Asia, were concentrated in manufacturing. The major investors include ASE and Unocal (United States), BASF (Germany), Cemexs (Mexico), Holcim and Nestle (Switzerland), Lafarge and Total FinaElf (France), Taiheyo (Japan), Telenor (Norway) and TMI (Malaysia). This is an example of how careful FDI statistics need to be interpreted, given the different ways in which they are compiled. According to the commitments made in the Mid-term Strategic Promotional Plan 2003-04 of BO1, the first half yearly FDI Inflow survey of 2003 was undertaken by BOI in cooperation with BEPZA. This report, the second of its kind, presents the findings of the survey in detail. During January-June 2003, a total of US$ 287 million of FDI received in Bangladesh which is 71% higher than the corresponding period of last year. Data on savings and investment are inadequate but available information indicates slowly rising trend in domestic savings and investment expressed as a percentage of GDP. Domestic savings as a percentage of GDP rose from 18.2 of FY03 to 18.3 in FY04. The exchange rates of Taka for inter-bank and customer transactions are set by the dealer banks themselves, based on demand-supply interaction. The Bangladesh Bank is not present in the market on a day-to-day basis and undertakes purchase or sale transactions with the dealer banks only as needed to maintain orderly market conditions. the employees. Besides investment in the traditional sectors, initiatives are also there to encourage private entrepreneurs in different service sectors like power, gas, mineral resources, transportation and communication, education lli1d health. The initiatives taken within the framework of various policies that have been formulated and implemented to support this goal are having substantial positive impact on the overall development of the country. In recent time, the slowdown of the world economy coupled with political unrest in international arena had its adverse impact on Bangladesh economy too. In spite of that, the multifaceted measures of the government for stimulating investment, production and export as well as for infusing dynamism in the stock market were successful to boost up the economy and as a result, GDP is growing secularly. In this regard, private sector has made its mark. Because of the scarcity of capital in the country, financing institutions investing in the industrial sector have to conduct pre-investment study properly. With this end in view, the investment criteria that are suitable should be examined and then applied. Special care should be taken in respect of big and medium scale industries because they require big amount of capital to be invested. While setting up large and medium scale industries, entrepreneurs and financing institutions should consider improving the conventional investment tactics, examine and review the different investment criteria, and then conduct the feasibility study on the basis of that criterion which is most suitable. If necessary, more than one criterion can be used to conduct feasibility study. Investment criteria have been explained in brief in Annex 4. Creating re-investment opportunities in manufacturing goods in the industrial sector is an important factor. So, production activities in the industrial sector should be administered in such a way that re-investment opportunities are created. The principles of productivity gain sharing are appropriately followed in many developed and developing countries in order to attain continuous growth in the production sector. The objective is to distribute profit between workers, owners and the government on an equal basis. This concept can also be pursued in running industrial enterprises in our country. To this end, a minimum productivity standard should be set in each industrial enterprise. Foreign direct investment will be encouraged in all industries in Bangladesh except those in the reserved lists, banking, insurance and other financial institutions. This type of investments can be made in local public and private sectors individually or jointly. The capital market will be open for portfolio investments. • Assurance of repatriating finance and profit deriving from share disposal. There will be no restrictions to foreign investment in terms of equity participation, i.e., 100% foreign equity can be invested. While selling up industries with complete foreign investment or in joint venture, there will be no restrictions to the sale of shares through public issue irrespective of paid-up capital. However, foreign investors or institutions can purchase shares through Stock exchange, and necessary guidelines on this will be drawn up. Foreign investors or institutions can avail loan from local banks to meet their running costs. Conditions for such type of loan will be determined on the basis of the relations between the bank and the borrower. Foreign investors can avail of the same facilities as local investors in terms of tax holiday, royalty payment, and technical fees Etc. Personal income taxes need not be paid by foreign technicians appointed in foreign companies for up to three years, and after that period, they have to pay on the basis of a dual taxation revocation agreement or any other agreement reached with their respective countries. In respect of foreign investment, full repatriation facility of invested capital will be given. Profits and dividends are also repatriable. If foreign investors choose to reinvest their repatriable dividend or earned profit, then this will be treated as new investment. Foreign citizens appointed in Bangladesh will be entitled to a remittance of 50% of their wage and full repatriation of their savings and retirement benefits. There will be no restrictions to the issuing of work permit for efficient foreign professionals on the basis of the recommendations of local and foreign investing companies or joint venture companies. Multiple entry visa will be issued to foreign investors for three years and to efficient professionals for the whole period of their appointment. In respect of foreign investments in thrust sectors, preference will be given to small and medium scale investors when allotting plots in BSCIC industrial enclaves. Investments by non-resident Bangladeshis will be treated as foreign direct investment. Steps will be taken to protect intellectual property in respect of new goods and formulae. International norms and systems will be followed in respect of providing investment assurance and conflict resolution. Initiatives will be taken to expand the facilities of EPZ areas to those 100% export-oriented industries that are established in non-EPZ areas. In accordance with the Board of Investment Act 1989, the Board of Investment will provide necessary assistance and facilities to boost private investment in Bangladesh. The Board, formed under the leadership of the Prime Minister, with Ministers and Secretaries representing relevant ministries, will take necessary decisions in order to help establish new industries and provide assistance to already established industries. Other necessary facilities and services for speedy setting up and running of industries. With this end in view, all relevant public agencies will be involved with the one stop service of the Board of Investment. It is the government who should come first to take all the initiatives to make the outside people interested about our economy to rise the opportunity for the investors to invest in our country. Political leaders should try to make the political situation stable so that it helps the investor to make their investing decision at ease. That economy will not improve where the politics dominates the economy. To improve the situation of the economy what should be done the economy should dominate the politics. A developing country like Bangladesh its Foreign Direct investment is the key to its development. , its FDI performances should be very satisfactory for its development.